The Twinflex flashpoint allows a simple and effective visual indication directly from the 2-wire zone, complete with a sounder. 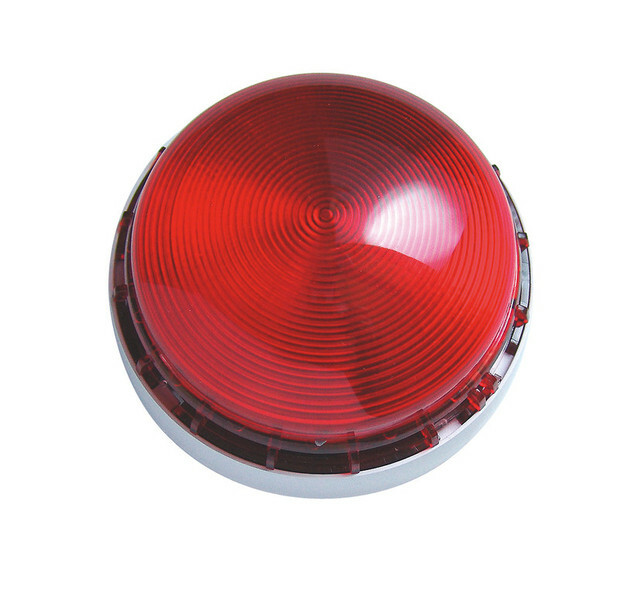 This zone powered combined sounder and beacon is available in a low profile or domed version, and can be manufactured in alternative colours if required. Whilst in alarm the flashpoint synchronisation is uniquely reset every 10 seconds to ensure that the beacon's flash rate remains in absolute synconicity across the entire system. Installation is made simple by first fixing the base and then simply plugging in the unit. As with all Fike sounders the flashpoint features an anti-tamper mechanism to ensure that the device is only released with the use of the head removal tool. Can the Twinflex Flashpoint Sounders be used in conjunction with other fire alarm panels? No. All Twinflex Flashpoint Sounder can only be used with Fike fire alarm panels. What is the sound output level of the Twinflex Domed Flashpoint? The Twinflex Domed Flashpoint has a low sound out put level of 78dB and a high output level of 90dB.